The dresser originated in the 18th century when it first began appearing in the homes of the gentry as a place to display prized tableware. However, through the years the dresser has become a feature of less well-off and rural homes. Welsh dressers are a traditional staple piece for any home since it uniquely combines the visual element of a display cabinet with the functionality of a sideboard. Dressers can have a number of functions, including storing tableware, plates and cutlery but also less traditional items like CDs, DVDs and board games. They have cupboard storage but also shelves, so they are ideal for a living room and for displaying items such as photographs and collectibles. Welsh Dressers, the most traditional type, have cupboard storage on the bottom and shelves or cabinets on the top half which is great for displaying items. Furniture UK`s wide selection of dressers include simple pine units with a single cupboard and open shelves as well as larger units with cupboard and drawer combinations. 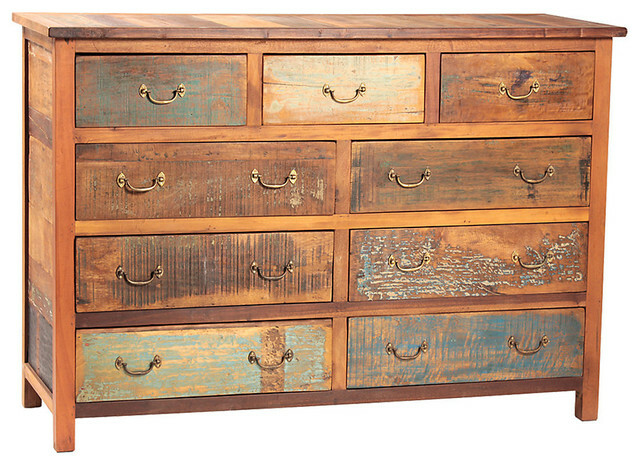 Within our huge range of dressers, you are certain to find something which is just perfect for your home. Placement: It is vital to consider where you would like your dresser to go. You could use it in your kitchen as a storage solution for plates and cookbooks, or alternatively in your dining room for table mats and cutlery. You can really place a dresser in any room of your home and get the best use out of it. Size: This is crucial issue when purchasing a dresser for your home. You need to measure the space you have available for height, width and depth in order to ensure the dresser will fit into its intended space. You should be able to manoeuvre round the dresser easily. Where is a Sideboard Used? Type: Decide what you are going to use your dresser for as this will determine the type of dresser which you require for your home. Style: Of course, style is a matter of personal preference, but you should always make sure when buying new furniture for your home that it matches and coordinates with the existing furniture and décor in your home. Also consider carefully the type of wood that you will use as different wood types will give different characters and styles to your room.